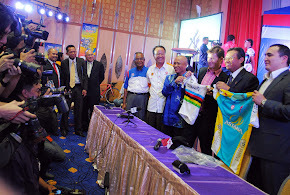 (L-R) : Mr Shahiruddin Seeni Mohamad (Director Ciclista Sports Sdn Bhd), Mr Amir Ramlan (Marketing Executive K-Colly), Mr Omar Lokman (CEO LA Genius), Mr Mohd Nazim Ismail (Manager, Marketing & Corporate Communications Ar-Rahnu), Mr Micheal Tong (representative for NSK Trade City/HOD Cavalcade LTdL2016), Mr Mohd Nezzam Abd Malik (representative for Tourism Melaka) and Mr Emir Abdul Jalal (CEO LTdL 2016). 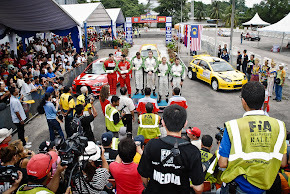 SHAH ALAM, 12 February 2016 - Le Tour de Langkawi's popular cavalcade returns in the 21st edition of the race from February 24 to March 2, with five newcomers set to make their presence felt. 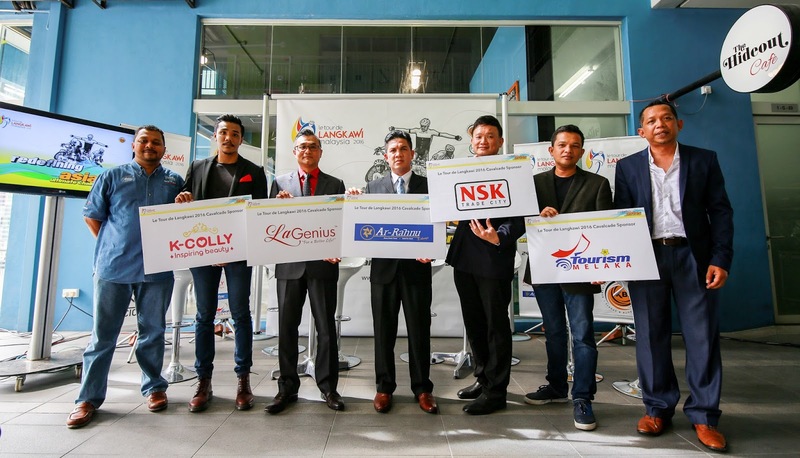 The five new companies - Farzuan Richglobal Sdn Bhd (K-Colly), LA Genius Sdn Bhd, Rakyat Management Services Sdn Bhd (Ar-Rahnu X'Change), NSK Trade City Sdn Bhd and Tourism Melaka - officially presented their sponsorship in a ceremony held today. 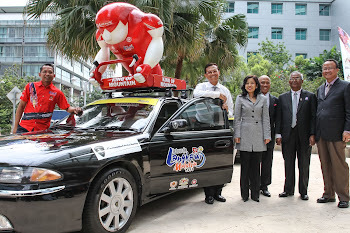 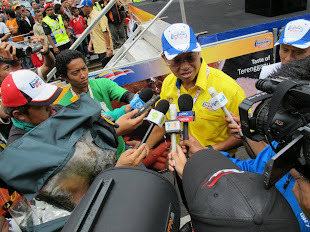 “The Cavalcade convoy is as important as the race itself, and the sponsors identify the significance of LTdL as a platform to raise awareness and promote their brand or product. 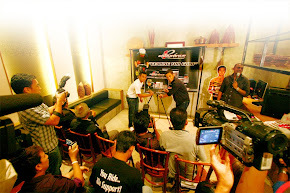 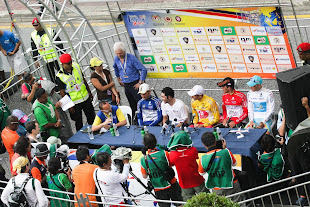 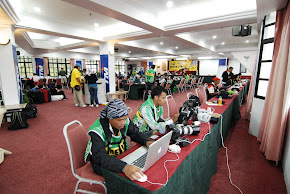 The event constantly attracts attention and receives wide media coverage so I believe that with the partnership with LTdL will bring them the exposure that they seek. 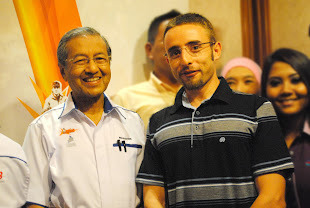 ” he added. 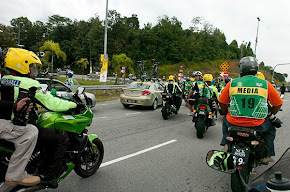 The convoy for LTdL 2016 cavalcade of cars decorated with sponsors’ liveries and colors will depart an hour prior to the start of the race and arrive at the finish an hour before the scheduled finish of every stage. 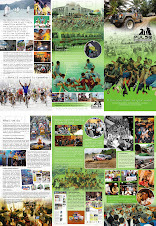 A variety of souvenirs for the fans will be distributed along the route of the race by the convoy's entourage.